Audio for this webinar will be broadcast through the internet via your computer speakers or by using the ReadyTalk app. There is no telephone dial-in option. You may consider using headphones. The webinar will be recorded and the recording link sent to you within a week after the live event. Registrants will be emailed polling questions about their current use of these technology tools in providing advice to clients. To increase the benchmarking value of this presentation, attendees are encouraged to review the polling questions before the webinar and come prepared to respond. 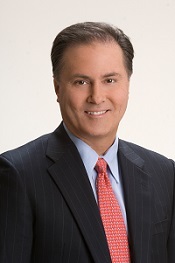 David Edwards is president of Heron Financial Group | Wealth Advisors and founded the firm in 1993. He works closely with individuals and families to make sure they are on track to achieve their financial goals. Mr. Edwards is a graduate of Hamilton College and holds an MBA in General Management from the University of Virginia Darden School of Business. He has contributed over 100 columns to TheStreet.com and is a frequent guest commentator on Bloomberg, Reuters, InvestmentNews, CNNfn, and First Business. He is a member of the New York Society of Security Analysts and the Investment Adviser Association. Prior to founding his firm, Mr. Edwards had worked with Morgan Stanley, JP Morgan, and Normura Securities, developing investment products and quantitative trading models. 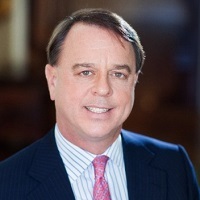 Gary Gallagher is senior vice president, Investment Products for Fidelity Institutional, which offers clearing, custody and investment management products to help financial professionals, institutions and other intermediaries service their clients and grow their businesses. Mr. Gallagher joined the Product group within Fidelity Institutional in 2011 and is responsible for developing the long-term vision and strategy for investment product offerings and managing its overall product roadmap. Previously, Mr. Gallagher served as executive vice president, Product & Platform Development, for LPL Financial in Boston where he was responsible for directing product strategy, leading strategic assessments, and managing the implementation of investment products and platforms. He was also LPL’s executive vice president, RIA Services, and led the firm’s entry into the RIA market. Prior to LPL, Mr. Gallagher spent 12 years working at Fidelity Investments in various capacities, including acting as senior vice president, Product Management, within Fidelity Institutional Wealth Services (IWS). Mr. Gallagher has also held product management and marketing positions with Citibank and worked in the financial services division of KPMG. He received a Bachelor of Business Administration from the University of Wisconsin and an MBA in General Management from the University of Michigan Business School. 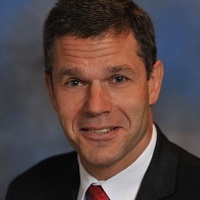 Gauthier Vincent leads Deloitte’s Wealth Management Consulting Practice in the U.S. He has 20 years of experience in financial services as a consulting partner, an investment banker, and a private banking executive. He has advised a number of leading wealth management firms and businesses in North America including wirehouses, and private and trust banks. His expertise is in customer growth and operating strategies. Mr. Vincent has worked extensively in the U.S., Canada, Europe, and Asia, and he is an alumnus of Booz & Co., Citi Private Bank, Credit Suisse Investment Bank, Marakon Associates, and the World Bank. Mr. Vincent has published extensively on the wealth management industry, including: Digital Disruption in Wealth Management (2014), 10 Disruptors in Wealth Management (2015), Robo-Advisors: Capitalizing on a Growing Opportunity (2015), and Generational Wealth (2015). For paid registrations, cancellations and substitutions must be received in writing no later than 5:00 p.m. (ET) Friday, November 11, 2016. There are no refunds for cancellations received after this date. Email your requests to megan.olson@investmentadviser.org. If you have questions regarding this webinar, contact the IAA at (202) 293-4222 or at to iaaservices@investmentadviser.org.